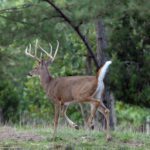 Editor’s Note: Professional deer hunters and biologists know the old adage that bucks don’t move in hot and warm weather isn’t true. Bucks have to feed, bed and water, regardless of the temperature. 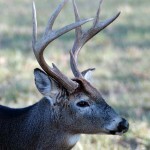 Bucks just move very little in warmer weather. 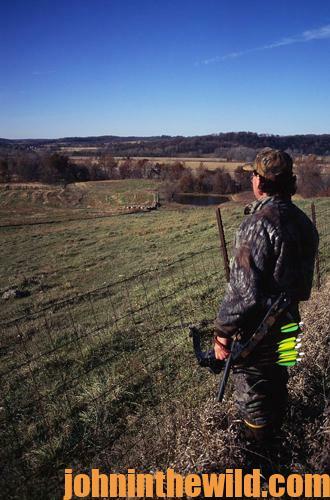 As the world experiences global warming, some of us will have to learn to hunt for hot and warm weather bucks during bow season. 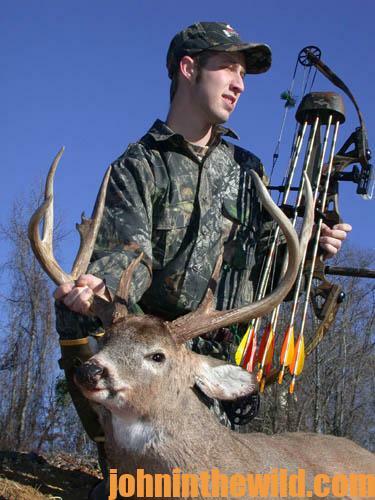 In Alabama, my home state, often at the first of bow season in mid-October, the temperature will hover around 90+ degrees. In many areas of the country, peas continue to grow until cold weather. Often black-eyed peas, crowder peas, purple-hulls and a wide variety of other peas will grow in agricultural fields and small gardens in rural areas. Southerners have difficulty keeping bucks out of pea patches. Deer love to eat peas because of their delicious taste and high-protein content. Some landowners even plant cow peas for the deer. Find a trail that leads from the deep woods to a pea patch. 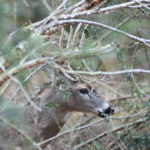 Take a stand well-away from that pea patch early in the morning to bag a buck with your bow as he moves down the trail from the feeding site to his bedding area. Or, late in the evening, move closer to the pea patch, and take a stand on the trail 50- to 100-yards away from the pea patch to bag a nice buck in the hot weather. discover that acorn trees around water often still will produce nuts even in a drought when the mast crop fails in an area. If you hunt a backwater slough or a beaver pond, many times you can use a pair of waders to get out into the flooded timber. Then you can put Bright Eyes, fluorescent-colored thumb tacks available from many sporting-goods’ store online, in trees as you go to your stand. Utilizing this tactic, you can follow the Bright Eyes in the dark through the water to get to your stand before daylight. 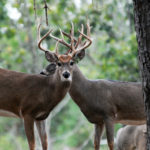 If you set up in a stand 15- to 20-yards from the edge of the water, you often will have an easy shot at a buck moving along the edge of the water just at daylight. 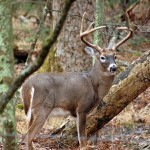 During hot weather, bucks will feed on acorns that fall in the water. If heavy hunting pressure exists, they’ll move through the water to avoid the hunters. They’ll watch for danger to come from the land and rarely look out into the water to see a hunter. 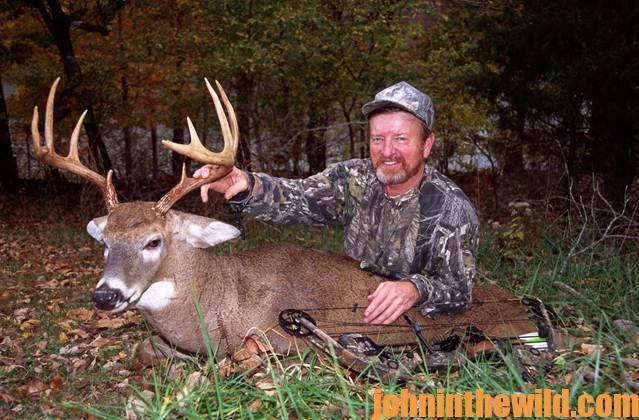 To learn more about hunting deer, see John E. Phillips’ book at http://johninthewild.com/books/#deer for Kindle, print and Audible books, as well as some Nook books.